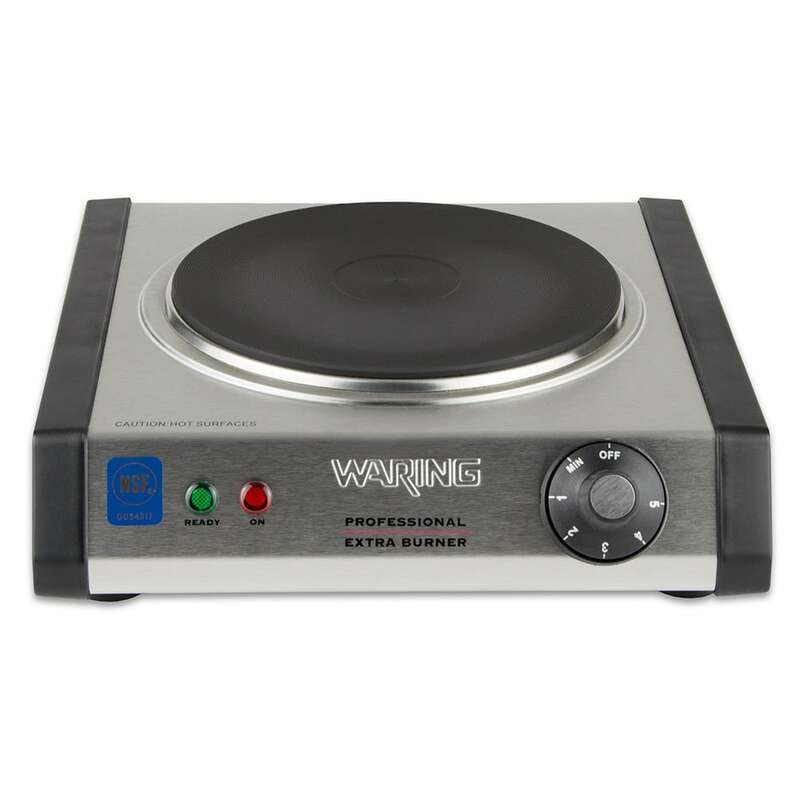 The Waring WEB300 electric hotplate can be used on buffet lines, at catered events, and in other areas to prepare fresh dishes. Its heavy-duty cast iron burner plate is built to withstand commercial use. Corrosion, scratches, and dents are resisted since the unit has a brushed stainless steel finish. There is an adjustable thermostat, on/off rocker switch, and indicator lights on the control panel. 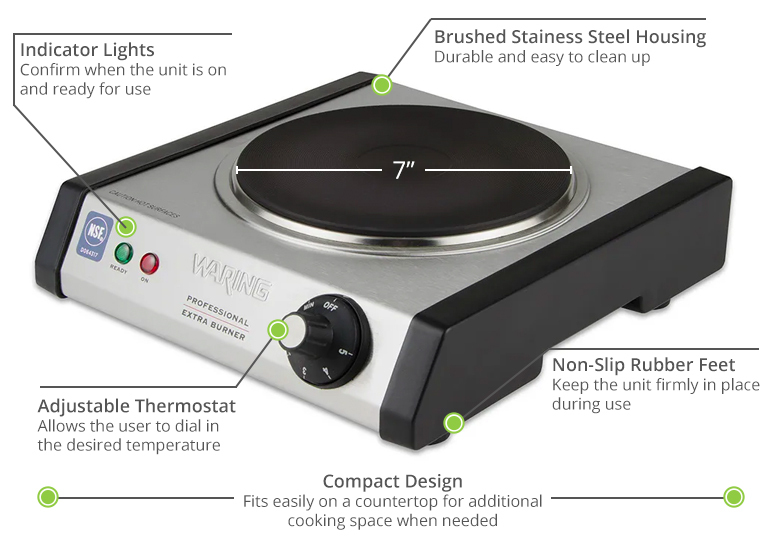 The Waring WEB300 electric hotplate has rubber feet that keep it stationary on countertops. 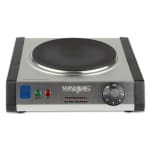 More information about hotplates and other countertop equipment can be found in the countertop cooking equipment buyers' guide. "It works good, very helpful"
"We purchased this product for use in a cooking demonstration class at a community center that did not have a cooking range we could use. It takes..."
"We purchased this product for use in a cooking demonstration class at a community center that did not have a cooking range we could use. It takes a couple minutes to get hot, but worked great for our purposes. We really liked the weight of it because it did not move around on the table while we used it. It fits into a kitchen cabinet standing up for storage."